SPOILER ALERT: If you’ve never seen the Harry Potter movies, or read the books, I encourage you to go do that before reading this article. I have grown up with the wizarding world of Harry Potter. If you are any sort of Harry Potter fanatic, you understand the magical sensation that comes when reading a J.K. Rowling book, or watching the popular movies. 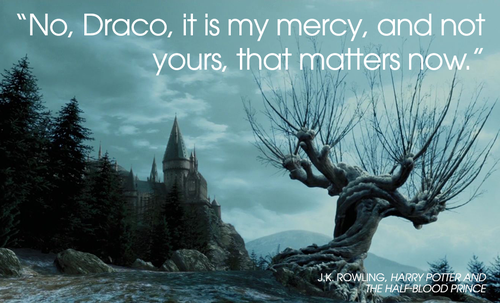 Rowling’s writing style never fails to send you into another reality, so here are a few quotes that tend to resonate with the dedicated readers. If you’ve read the entire series (or even watched the movies), then you know that the Dursley family is anything but ordinary…as much as they would like to think the opposite. All they want in life is to be seen as the “average” family, but of course that’s practically impossible when you’re raising a wizard who lives under a staircase. Talk about trying to run away from your problems. The Dursley’s really underestimated the power of magic. Can you imagine being stuck in the middle of a thunderstorm when all of a sudden, an actual giant knocks down the door to your house? Because I can’t. That’s what happens when you try to hide from Hogwarts. Dumbledore never ceases to amaze me with his power words of wisdom. Wise words spoken by the great Hermione Granger, in an attempt to correct Ron in his pronunciation of a spell in class. Hermione loves to be smart, and she loves to be right. No one can argue with that one. Dumbledore says these words to Malfoy while being held at wand-point (is that what you would call it?). The night that Dumbledore died was the night my heart broke into a million pieces. This entire scene just teaches us that not everyone is born evil. 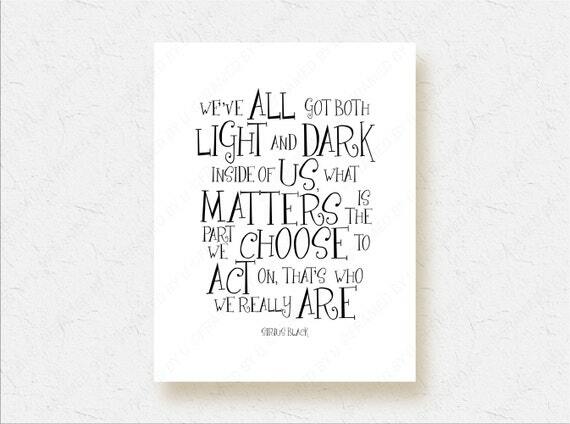 Once again…Dumbledore never ceases to amaze me with his perfectly timed witty and wise comments. Sometimes his ambiguity makes it hard to know exactly what he means in the beginning; but by the end, it all comes full circle. This statement kind of reminds me of a subtweet; because we all know that Dumbledore was talking about Neville and his bravery. I love the truth in this. The next two quotes are juxtaposed to each other, especially within the destruction Hogwarts went through. If you’ve seen the last movie, you remember the scene when Professor McGonagall places a charm on the Hogwarts building, almost like a giant protective bubble, waiting for battle. The calm before the storm. 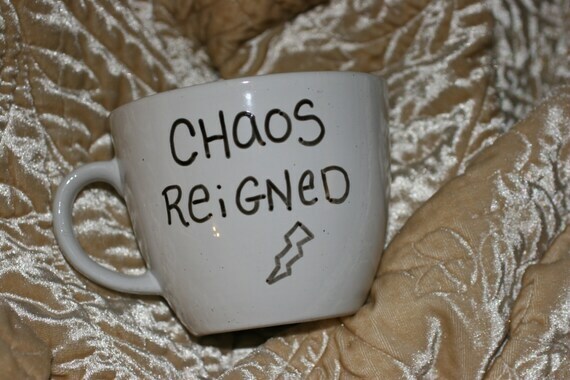 Then, “chaos reigned”. At the end of the second book (or the last movie), there’s a feeling of peace and serenity when Ron, Hermione, and Harry have defeated Voldemort. All was most definitely well within the Wizarding World. There are so many lessons to be learned from Harry Potter and his friends (or not so close friends). Your friends can be the closest to you, or they can quickly turn to be your enemies; there’s always light at the end of the tunnel; and there’s nothing wrong with being who you are. The list could go on forever, and if you haven’t taken the time to be sucked into the wonderful world of Hogwarts…what are you doing?